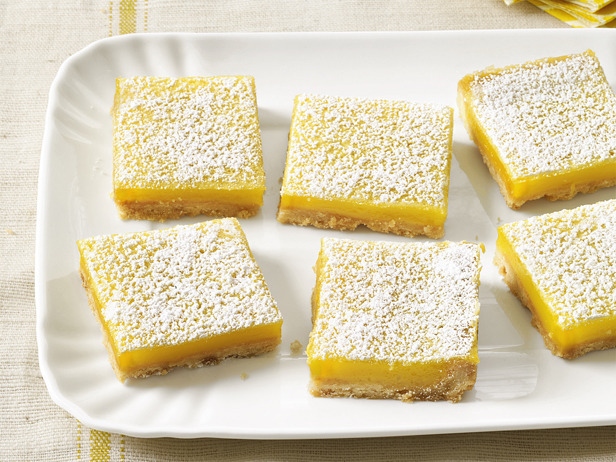 I think lemon bars are the perfect treat for hot weather. They are sweet, tart, and can be eaten warm or cold. I want to whip up a batch right now. Make the crust: Position a rack in the middle of the oven and preheat to 350 degrees F. Grease a 9-by-13-inch pan with vegetable oil and line with foil, leaving a 2-inch overhang on all sides; grease the foil with oil. Pulse the butter, flour, both sugars and the salt in a food processor until the dough comes together, about 1 minute. Press evenly into the bottom and about 1/2 inch up the sides of the prepared pan, making sure there are no cracks. Bake until the crust is golden, about 25 minutes. Meanwhile, make the filling: Whisk the whole eggs and yolks, sugar and flour in a bowl until smooth. Whisk in the lemon zest and juice. Remove the crust from the oven and reduce the temperature to 300 degrees F. Pour the filling over the warm crust and return to the oven. Bake until the filling is just set, 30 to 35 minutes.